Guest Rooms: Whether in the hotel’s atmospheric Georgian house or our more modern wing, rooms and suites are beautifully furnished and contain everything you would expect to find in a hotel of this high standard. That includes TV, trouser press, hair dryer, direct dial telephone, free WIFI and tea and coffee-making facilities. Most beds are king-sized. Location: Beech Hill is two miles east of Derry City. On the main A6 route to Belfast and Dublin, close to the airport and train station, the Beech Hill is ideally placed for easy access to all visitors. It is also the perfect base from which to explore the delights of the surrounding countryside, from the magnificent Antrim Coast, home of the world famous Giants Causeway, to the wild beauty of the neighbouring county of Donegal and the historic city of Derry, which also boasts some excellent shopping. Restaurants: The Beech Hill''s Ardmore Restaurant is locally and internationally renowned for its breathtaking cuisine and superb service. Meet friends here for breakfast, lunch or dinner, perhaps after a stroll through our superb country house grounds. Buffet breakfast offers traditional Irish fare. Lunch is as informal or formal as you wish to make it while stylish dinners give visitors a gloriously unforgettable culinary experience. President Bill Clinton and his wife Hilary are among the many celebrity guests to have expressed delight at the food they were served during their stay here. Only the finest and freshest local, and largely organic, produce is used - venison, beef and a wide range of seafood, much of it hand-caught by local fishermen. 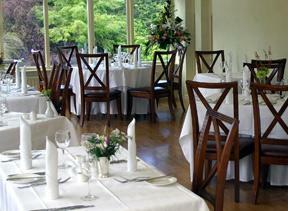 Special dietary needs are provided for by Beech Hill’s inventive and award-winning chefs. A wide variety of breakfast dishes is offered as well as long or light luncheons and afternoon teas.